With such a large combined sea area WWF South Pacific has over the past 10 years largely focused it's efforts on conservation and natural resource management of the marine environment. Much of WWF’s work in the South Pacific is focussed on protecting the Great Sea Reef, an area of globally significant biodiversity. The reef, locally known as Cakaulevu, is located to the north of Vanua Levu and provides important fishing grounds for 12 districts with a population of around 70,000 people. Together with Pascoe Reef, it is the third longest reef in the southern hemisphere, stretching over 200 km. The reef supports a spectacular diversity of fish and coral species representing 74% of coral species and a predicted 80% of reef fishes found in Fiji. A number of threatened species reside in the reef including the green turtle, spinner dolphin, bumphead parrotfish, and the manta ray. WWF has been present in the South Pacific since 1995, working towards fostering strategic, community sensitive and long lasting equitable partnerships. Collaborating with Pacific Island NGO’s, government agencies and communities is an integral factor in WWF South Pacific’s success. 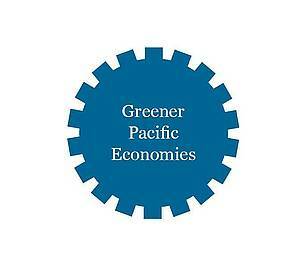 WWF South Pacific has further embarked on a new era of partnerships with corporate entities to begin a new movement towards a green economy in Fiji and the wider South Pacific. Driven by a multicultural locally based team, with an array of expertise and skill WWF South Pacific strives to enhance and achieve programme goals through awareness, research, field based activities, policy, advocacy and local capacity building. WWF South Pacific strongly advocates and practices the ecosystem based management approaches to its conservation work, ensuring issues are not addressed in isolation but as a bigger array of interactions within an ecosystem, including humans. As one of the pioneers of this approach in the Pacific, WWF was one of the first conservation organisations in the regions to undertake the process on a large scale in a concerted attempt to protect the Great Sea Reef. WWF South Pacific continues to work towards protecting the Pacific’s biodiversity and placing emphasis on reducing the human footprint on nature. 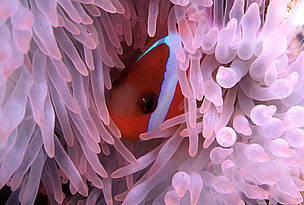 The Great Sea Reef is believed to be home to 80% of Fiji's coral reef fish species. 12 species listed on the IUCN Red List of threatened species are found in viable populations in the reef. 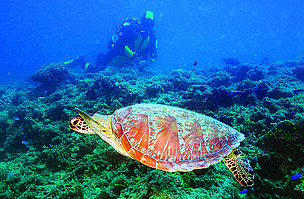 The Great Sea Reef is a major feeding ground for trans-migratory Pacific sea turtles. Each of our programmes contribute to our four larger goals: sustainable livelihoods, green economy, food security and water quality. The southern hemisphere's third longest barrier reef – the Great Sea Reef - is in Fiji. WWF South Pacific works with communities using the ecosystem based management approach towards protecting this wealth of biodiversity. Six out of the seven species of the world’s marine turtles are found in the Pacific Ocean. 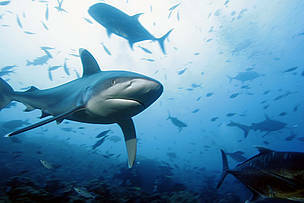 WWF South Pacific works towards protecting this cultural icon and other exploited marine species. The Western and Central Pacific Ocean is considered the last frontier for tuna fisheries that include albacore, skipjack, bigeye and yellowfin tuna.WWF South Pacific works towards ensuring the sustainability of Pacific Tuna. 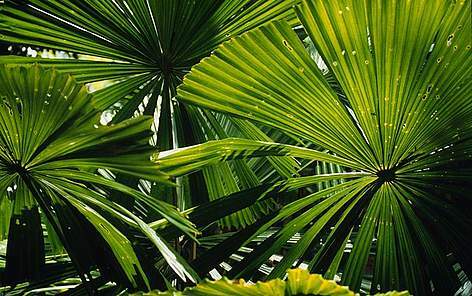 Pacific Islands are frontline communities to the effects of climate change. WWF South Pacific works with local resource managers and communities to build resilience, and advocate for biodiversity protection and adaptation investment in the Pacific. 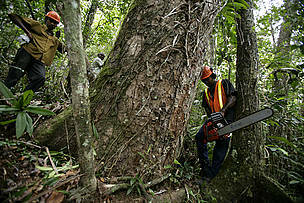 One in four people in Fiji rely on the sugar industry for their livelihoods. WWF South Pacific is working to improve yield, livelihoods and business to reduce the sugar industry’s footprint on biodiversity. 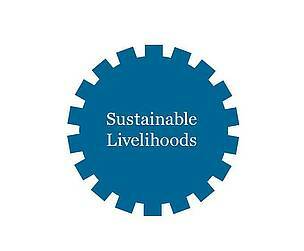 The sustainable livelihood approach aims to alleviate poverty and achieve ecological sustainability by developing economically effective means of living which can cope with sudden shocks as well as long-term stressors. Food security is the availability of nutritious food and the level of access to it. The health of the coral reefs that surround the South Pacific islands is strongly impacted by agricultural practices inland through farm run-off of fertilisers, pesticides and soil into the rivers that flow to the reef. 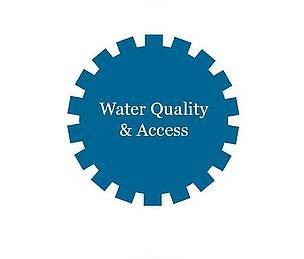 Low water quality has knock-on effects for biodiversity, and in turn the fishery and tourism. ‘Green economy’ is a global movement which balances the need for economic growth and development with human welfare and the preservation of the natural resources.